Special ﻿4th of ﻿July﻿﻿ Bonus Gift! 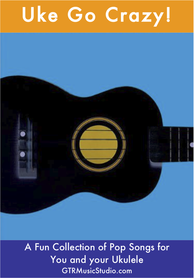 Here's a fun little songbook for you beginning ukulele players! Enjoy a wide range of songs from different genres and decades. Download today! These are just some of the fun songs you can learn in your lessons here at Moscow Music Academy. For enrollment info CLICK HERE.